Google To Drop Everything To Address The Cheeseburger Emoji Situation | OhGizmo! 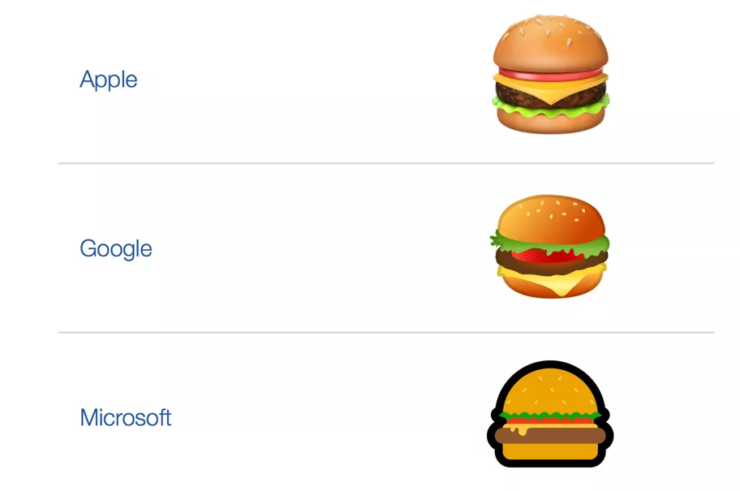 Now, I know everyone is thinking ‘what’s the big deal, Google has to deal with their cheeseburger emoji’? But if you look closely you can see that this cheeseburger has the cheese below the burger patty. That’s right, the world is coming to an end as we know it. Thankfully, after having this problem pointed out by author and cheeseburger aficionado, Thomas Baekdal on Twitter, Google’s CEO Sundar Pichai stepped in to announce that the company would drop everything to address the issue. I can’t believe they let it get this bad in the first place, I mean, even Apple got it right (though they did put the lettuce on the bottom and that’s also something I’m willing to bite someone over). Hopefully this nightmare will be over soon, and we’ll have a normal bun->lettuce->tomato->cheese->patty->bun arrangement. Heck, I’ll even take bun->tomato- lettuce->cheese->patty->bun. Anything’s better than bun->tomato->lettuce->patty->cheese->bun. Please, anything but that.